Last week on the Noyo River, we were preparing for a water safety class for a group of local stream surveyors. We watched a gentleman launch his brand new kayak onto the river. The stickers were still on it and the paddle. 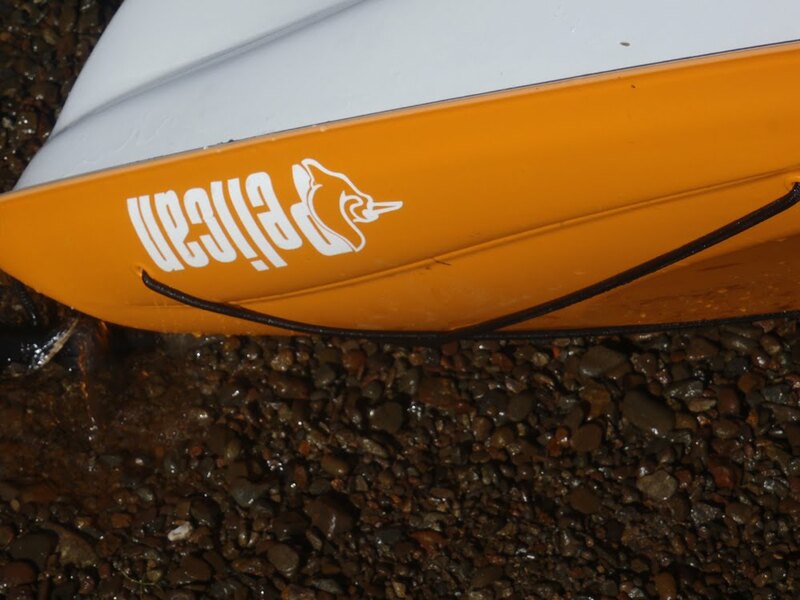 He was also wearing a brand new life jacket that appeared to be snug and well fitted. It was a beautiful day. The river was calm and glassy with the sun just starting to penetrate through the trees. The kayak appeared to be stable, and we were stoked to see someone heading out to enjoy a gorgeous paddle on the Noyo. Several hours later, we were on the water teaching our class and a neighbor across the river called us over. He asked if we would retrieve the kayak from a meadow up the river. He had just finished assisting the paddler into an ambulance. The paddler capsized his kayak. The water temperature of the Noyo was 51 degrees. This individual was having some diabetic issues and became hypothermic in the chilly water. Fortunately there are a couple of houses along the river near where he capsized, and the residents were able to assist him and call for medical help. We regularly see paddlers on the river paddling without life jackets or wearing them improperly. Fortunately the river is usually calm and most remain upright and in their boats. The water temperature of the Noyo rarely gets out of the 50 degree range so hypothermia is definitely a concern for anyone immersed in it for more than a few minutes. We thought it would be a good time to share the video Cold Water Boot Camp to illustrate the effects of cold water on the body. Fortunately, our the paddler on the Noyo River was ok. He had done 2 things right - wearing his life jacket properly and checking in at Dolphin Isle so that people knew to watch for him. 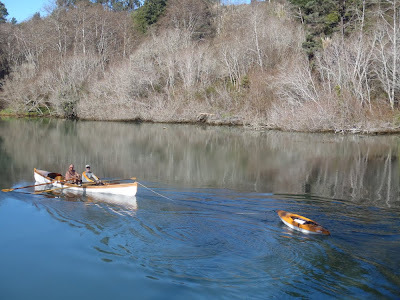 Special thanks to Stan and Jim of the Lost Coast Chapter of the Traditional Small Craft Association for towing the kayak back to Dolphin Isle for the paddler. Good story Cate. I especially liked the video. You're really helping people with this information. Be sure to check out Eric's blog about cold water and immersion. Including lots of good discussion and advice from paddlers around the world.